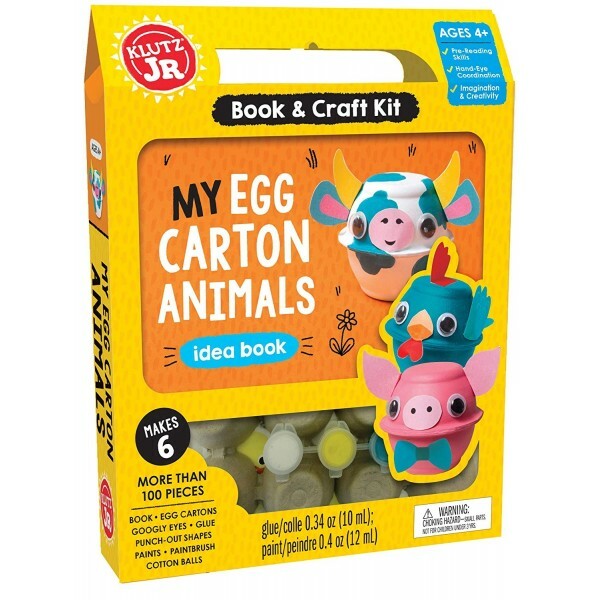 Transform egg cartons into six barnyard animals with this kit from Klutz Jr.! 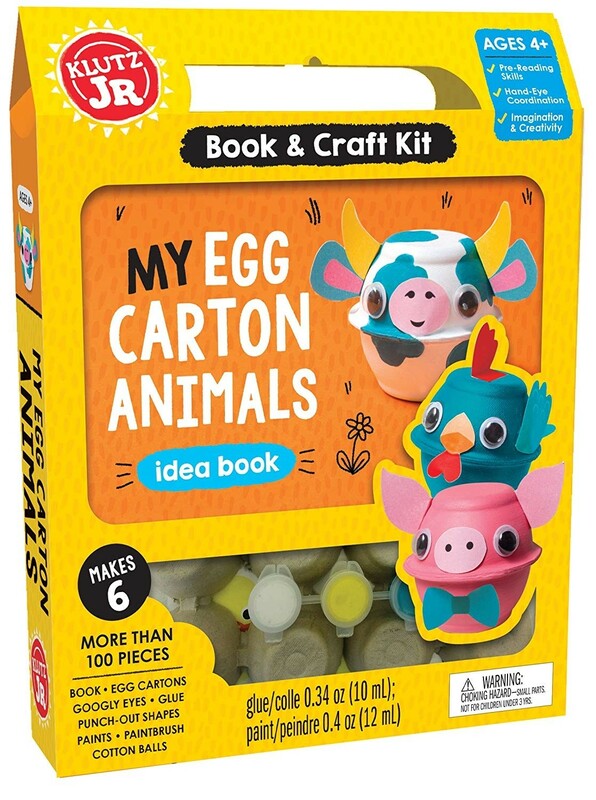 The specially made egg cartons in this sit tear apart and glue easily Then, paint the cartons and add googly eyes, cotton balls, and pre-cut accessories to make your very own farm animal friends. 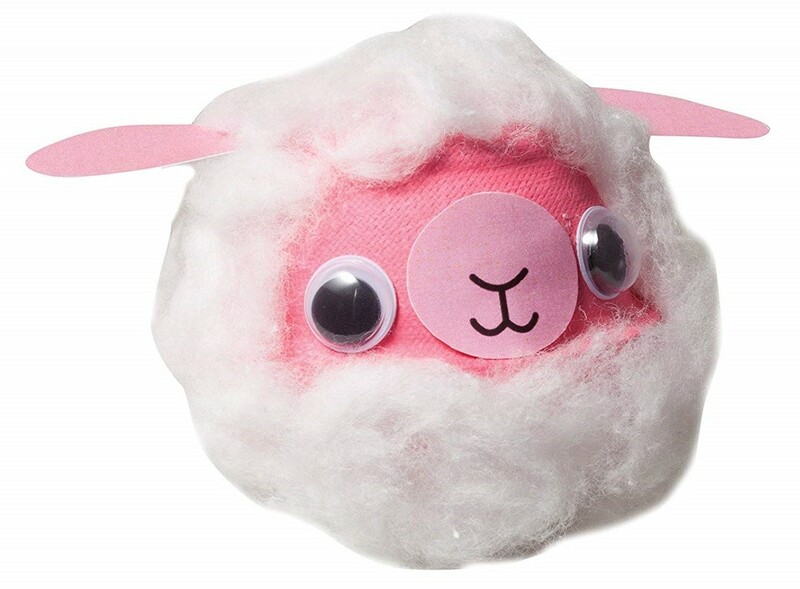 Fun animal facts throughout the book give an added giggle as kids work! 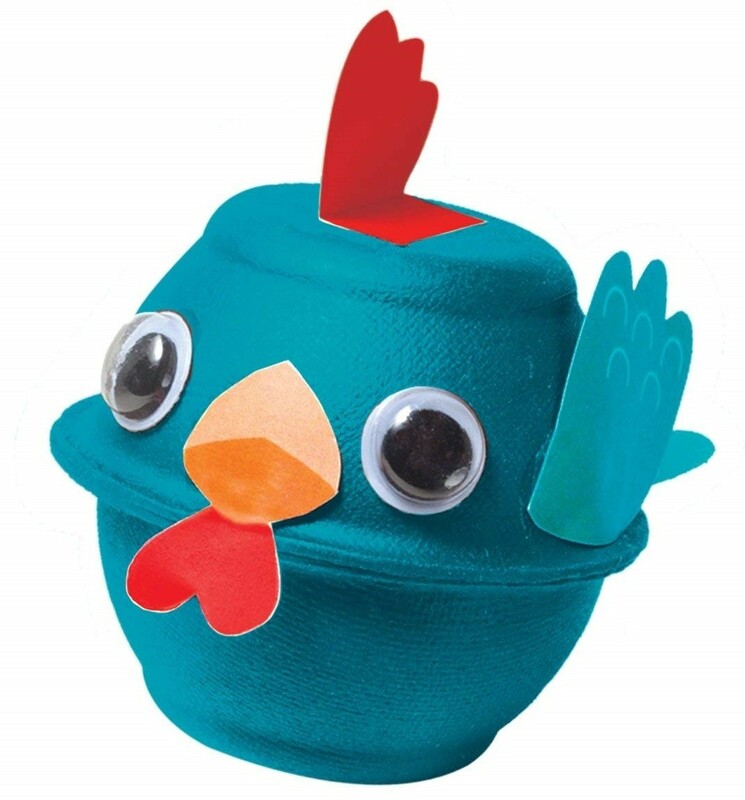 An included idea book provides inspiration for a wide variety of barnyard animals kids can choose from.